Scientists from the University of Toronto have discovered a way to grow a roll of tumor cells that can be unwound and tested to better devise tailored cancer treatments. 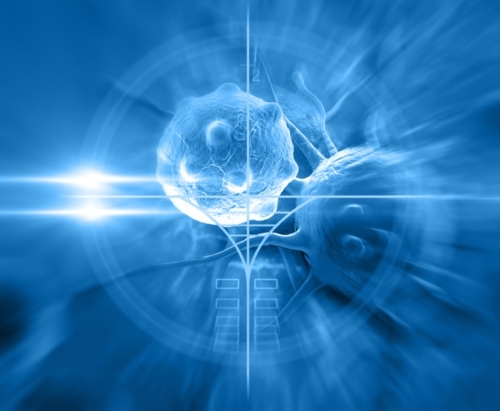 One of the difficulties of cancer treatment is that all tumors are the result of individually unique genetic errors and/or environmental damage. These variations are one of the reasons why the most effective treatments—radiation and chemotherapy—employ a scorched earth policy. Personalized cancer treatment is a growing field of medicine that seeks to find an improvement to these methods by developing customized approaches that can be both more deadly to the tumor but also safer for the patient. A recurrent complication in devising personalized cancer treatments, however, is getting a good test model. Using the patient as the guinea pig is a spectacular violation of medical ethics, which means that the most common alternative is to cultivate some of the tumor cells in a petri dish and experiment from there. The flaw with this method is that in a real tumor the cells near the center of the mass receive fewer nutrients than those closer to the outer layers. This is hard to replicate in a flat dish and means that scientists can misjudge how a real tumor would react to certain treatments. A three-dimensional model can be built, but the components are hard to keep track of. This is where the tumor roll comes in. When the roll—which resembles extremely flaky toilet paper—is fully wound up, it is able to replicate the absorption levels of different tumor layers. The layers closer to the middle of the roll receive less oxygen and nutrients. When medical researchers want to poke or test a specific section, they are then able to simply unroll the tumor as far as they need. It is effectively a 3D model presented in a 2D format. Tumor rolls are created by taking a porous strip and coating it in collagen and cancer cells taken from the patient. The strip is then soaked in a nutrient solution and wrapped around a metal core before being left to grow over several days. Afterwards, the tumor cells grow across the strip and are subject to conditions closer to what would be felt inside the body. The next step for the scientists’ is to determine how effectively the tumor rolls can be used to design personalized cancer treatments. Should it prove effective, more improvements will be worked on to make the process more available to patients. Pearson, J., “Watch Scientists Unroll A Tumor Like A Roll Of Toilet Paper,” Motherboard web site, November 23, 2015; http://motherboard.vice.com/read/watch-scientists-unroll-a-tumor-like-a-roll-of-toilet-paper. Rodenhizer, D., et. al., “A Three-Dimensional Engineered Tumour For Spatial Snapshot Analysis Of Cell Metabolism And Phenotype In Hypoxic Gradients,” 2015; Nature Materials. doi: 10.1038/nmat4482.